A Short History of Golf tells the magnificent, sometimes tragic, always inspiring stories of the greats of golf and how they lit up the world with their own brands of magic. 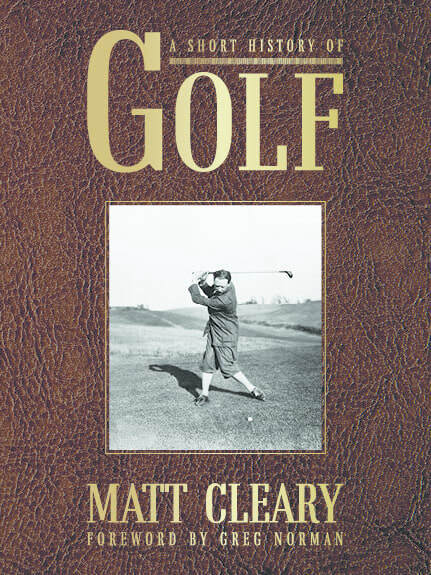 In this textured hardback and loosely chronological book, the short history of golf and it’s many icons are retold, including Old Tom Morris, who won three of the first five Open Championships in the 1860s, and the many other greats that have vied for that prize. From Bobby Jones who created the famous Augusta course, to Sam Snead winning three green jackets, and some of other stars like Ben Hogan, Gene Sarazen, Gary Player, Arnold Palmer (The King), Jack Nicklaus, the magnificent Steve, the Great White Shark and Tiger—all the golfing legends are mentioned in this golf hack’s crack at history. Golf’s greatest women are also featured, including Karrie Webb, Jan Stephenson, Patty Berg, Annika Sorenstam and Mildred Ella Didrikson Zaharias, known as Babe after Babe Ruth because she was truly magnificent. Golf is one man’s take on the highs and lows of the great game of golf.